Dubai: Gross credit growth strengthened to 3.7 per cent year-on-year in September from 3.4 per cent in August, supported by improved demand for funding from corporate sector and government related entities (GREs), according to latest data from the Central Bank of UAE analysed by Abu Dhabi Commercial Bank’s (ADCB) Economics Team. The credit data for September showed gross credit growth softened to 0.3 per cent month on month from 0.6 per cent in August. September credit growth was driven by the GREs, up 0.7 per cent and government, up 0.5 per cent. September marked the second consecutive month of positive loan growth for the GRE sector with the expansion the strongest year to date. Overall private sector credit growth witnessed a contraction of 0.2 per cent month on month in September with weaker loan demand. Nevertheless, corporate credit growth has still seen the strongest annual expansion so far this year, increasing 6.5 per cent in September. 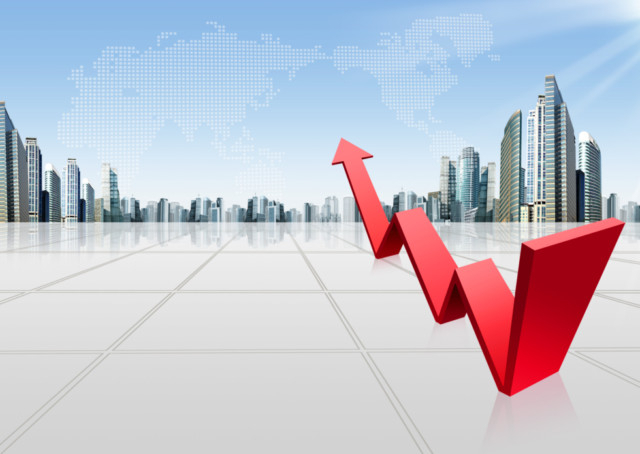 According to the central banks’ Credit Sentiment Survey there was an increase in demand for business loans across all emirates in the third quarter of 2018, though particularly in Abu Dhabi and Dubai, and especially among large, local firms. September saw another solid month of deposit growth driven by government. Gross banking system-wide deposits expanded by a robust 1.5 per cent month on month in September, up from 0.2 per cent in the previous month. The September rise was the second fastest monthly increase in 2018, bringing the year on year rate to 8.3 per cent and the year to date figure to 6.2 per cent. The September expansion in deposits was largely driven by the resident segment, and the government sector, although non-resident deposits also increased. Government deposits grew by a solid 3.5 per cent month on month (Dh8 billion), taking their year on year growth to 34.9 per cent and the year to date increase to 42.1 per cent. “Higher oil prices are likely to have been a key factor supporting the rise in government deposits in 2018 so far. A shift to a more expansionary fiscal stance could also be a factor,” said Monica Malik, Chief Economist of ADCB. All areas of domestic deposits saw a monthly increase in September, including GRE and the private sector. Meanwhile, gross non-resident deposits posted a healthy expansion of 2.2 per cent month on month (Dh4.5 billion) in September, up 9.1 per cent year on year. The gross loan-to-deposit (L-to-D) ratio of the UAE banking sector moderated to 94.8 per cent in September — a multi-year low and a print not seen since September 2014. “This highlights the comfortable and improving liquidity conditions in the banking sector this year. Indeed, the L-to-D ratio is down from 97.1 per cent in December 2017 and reflects deposit growth outpacing credit growth. Net government and GRE deposits rose in September, and were 33 per cent higher than the previous peak seen in the third quarter of 2014 before the sharp fall in oil prices. “Ample liquidity conditions are helping to limit the positive spread between the EIBOR and LIBOR rates from historical levels, though they have widened from the narrow differential seen in early 2018,” said Thirumalai Nagesh, an economist with ADCB.